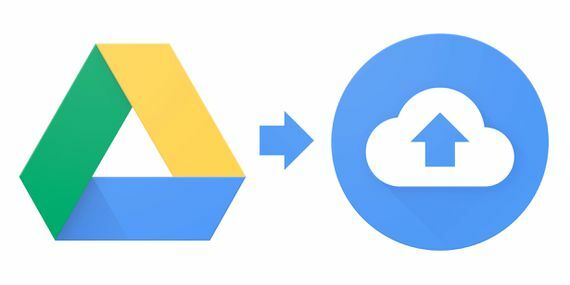 I reviewed Google’s Backup and Sync service back in December. There were several issues with the service that I outlined in there, such as the app backing up files that it was not supposed to back up, the service counting files toward the quota even though it was supposed to compress them and allow unlimited free storage, etc. I thought I’d do a follow-up because, as you may have guessed already, there are more issues I want to point out and also a few pieces of advice that might help you in your use of the app. One issue that occurs over and over is that the app crashes. It gives an error message popup and says it needs to quit. Which is somewhat okay, but when you start it back up, it does a re-check of all the files it’s supposed to back up, and that is an energy-hungry process. 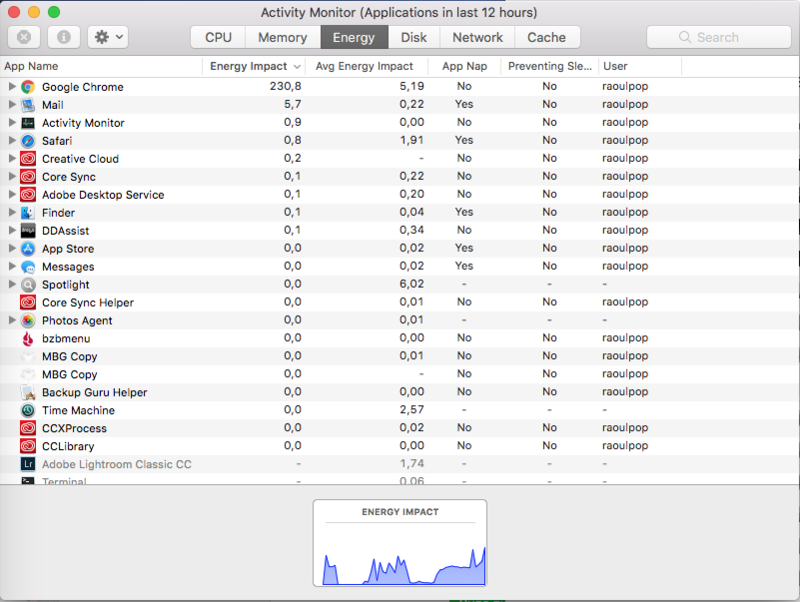 You can see it at the top of the active apps in Activity Monitor (on the Mac), eating up all the processor cycles as it iterates through its list of files. And even when it does its regular backup in the background, it’s still climbing toward the top of the active apps. To be fair, Flickr’s own Uploadr is also an energy-hungry app. Neither of the apps allow you to make them use less energy (to work slower, etc. ), so they churn away at your computer’s resources even though they’re supposed to work quietly in the background. Another issue that still occurs is that the app backs up files that it’s not supposed to back up. 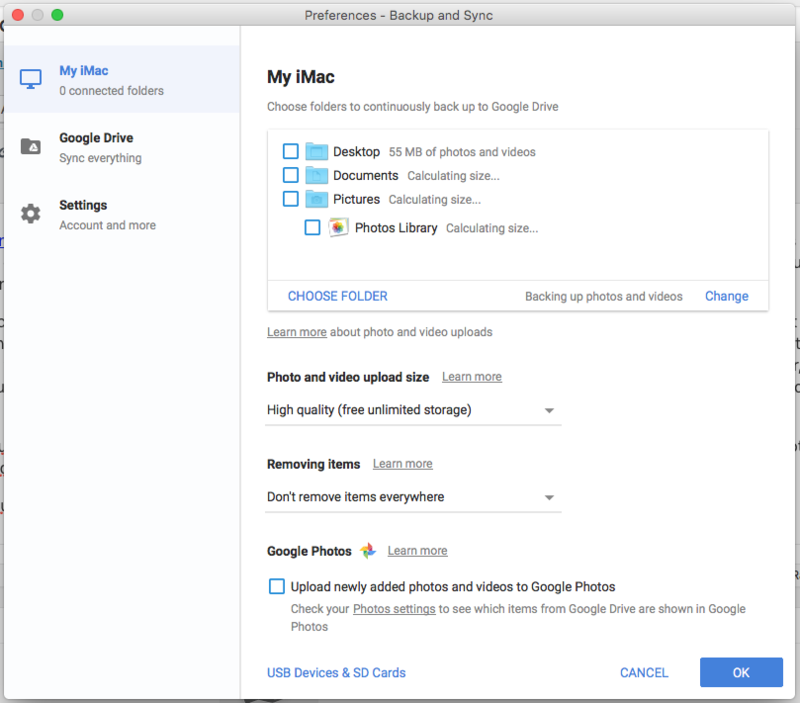 I have it set to back up only photos and videos and yet it backs up a lot of files with strange extensions that end up counting toward my storage quota on Google Drive. Have a look at the screenshots taken from my settings for the app below. I had it set on backing up RAW files too, but it wasn’t backing up anything but CR2 (Canon RAW files) and DNG (Adobe RAW files, or digital negatives). And it had problems backing those up as well, because when the size of a DNG file was over a certain limit (it’s somewhere around 50 MB I think), it backed it up but it didn’t compress it, so it counted toward the storage quota. It wasn’t compressing ORF (Olympus Raw files) while backing them up, so they counted toward my quota. Since I shoot only with Olympus gear these days, that was no good to me. So what I did is I chose not to let it back up any RAW files and I set my camera to shoot in ORF + JPG format. I work with the ORF files in Lightroom and the unedited JPG files get backed up with the app. Here’s a list of files whose extensions it might be helpful for you to add to its settings, so the app won’t put them on your Google Drive. Of course, as mentioned above, the app backs up all sorts of files it’s not set to back up. It’s like it ignores the settings and just does what it wants, so ymmv. You may have noticed HEIF and HEIC in the list above. Those are the new image and video standards used by Apple because they offer much higher quality and compression than JPG and H.264. And even though it’s not logical that Google wouldn’t know or want to compress them and back them up properly, they don’t. The app will simply copy them to Google Drive, uncompressed, and they’ll count toward your quota. 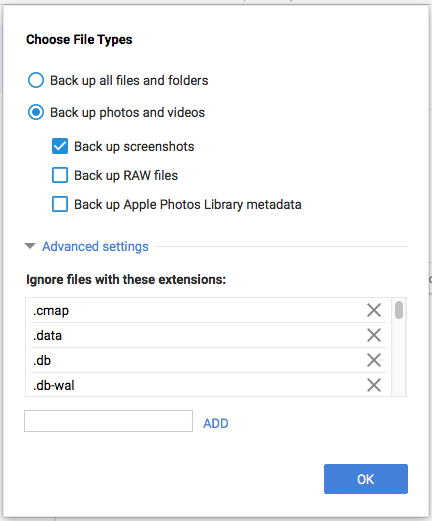 So all of you who have iPhones and iPads and use the Backup and Sync app or the Google Photos app, you are currently backing up the photos taken with your devices on Google Drive, but they count toward your storage quota even if you don’t want them to. Keep in mind that this may be a temporary thing and Google may choose to rectify this issue in the coming months. The storage options on Google Drive are another issue I want to talk about. I had to upgrade my storage to 1 TB because of all these issues. At one point, I had over 400GB of unexplained files taking up space in there and I had to upgrade to the 1 TB plan, which costs $10/month. Now I don’t know about you, but that pisses me off. It’s one thing if I choose to upgrade my storage plan because I want to do it, and it’s another thing altogether to be forcibly upsold because the Backup and Sync app might be used as a funnel to generate gullible leads for Google Drive’s storage plans. Notice I said “might be”; I have no proof of this. It could be that the app is just full of bugs and not well-maintained. So I did two things: one was to downgrade my storage plan to the minimum of 100 GB at $2/month, and the second was to start looking through my Google Drive in order to see what files were taking up space. I found them but let me tell you, getting rid of them is like pulling teeth. It’s like Google doesn’t want you to get rid of them, so they keep on taking space there and you keep on paying. It’s not right. 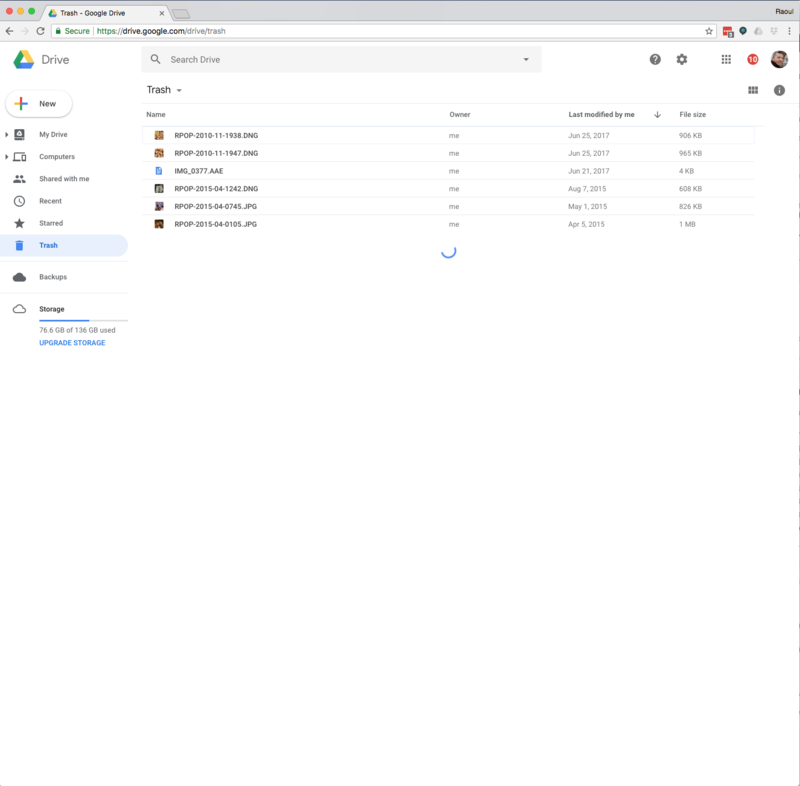 Let me show you: first you go to Google Drive, and at the bottom of the sidebar on the left, you’ll see how much space you’ve got. My storage quota is under control now, but this is my second day of working on this. Can you believe it? Google has made me waste almost two work days in order to correct a problem that it created. 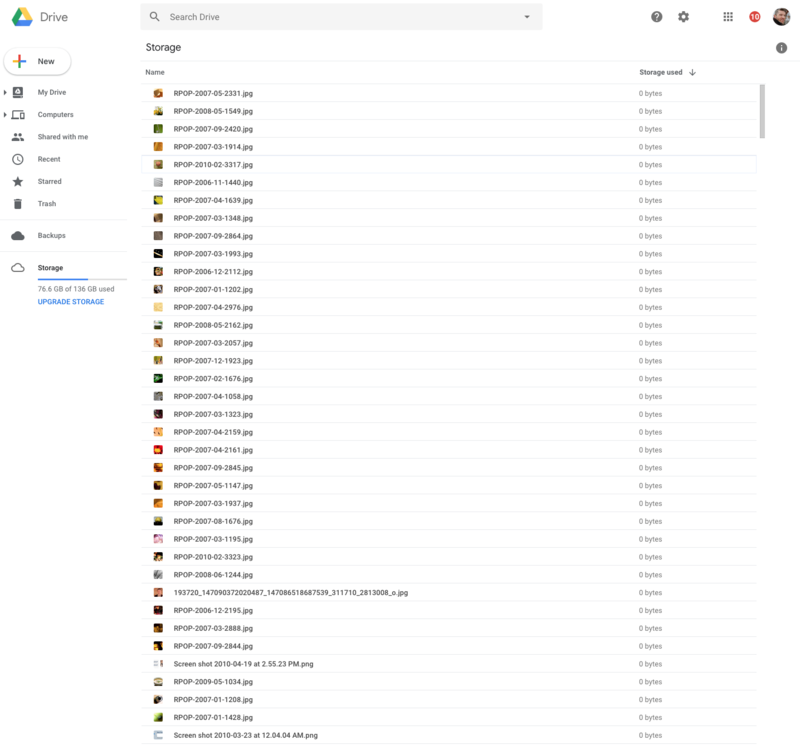 If you click right on the space used, in my case the 76.6 GB, it’ll take you to a page where it begins to list all of the files that are taking up space on your Google Drive, in descending order based on file size. Here’s where it might be confusing for some: the files that are compressed and don’t count toward your quote are listed with a file size of 0 bytes. This is not an error, those files aren’t really 0 bytes, but they’ve been compressed and as far as your quota is concerned, they’re okay. The files that do count toward your quota will be listed at the top. That’s how I found out that Google doesn’t compress PSD files or TIF files or large DNG files. I had images that were over 100 MB in size, some close to 1 GB in size, that it wasn’t compressing, so I had to delete those. If you want to bring down your storage requirements on Google Drive, you’ll have to do the same. Here’s a screenshot of the page I’m talking about, but keep in mind that I’ve already done the work, so I have no more uncompressed files taking up space. Whatever’s left, it’s in the Trash. So this part is like pulling teeth. 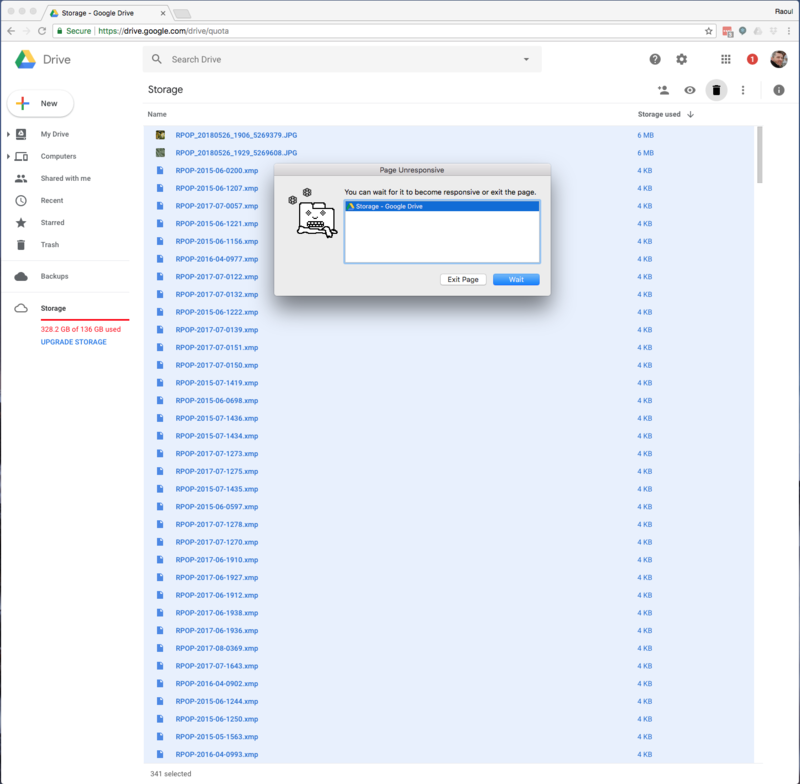 Even though I was using Google’s own browser, Google Chrome, and working on Google’s own service, Google Drive, it was excruciatingly slow to list the files I needed to delete. 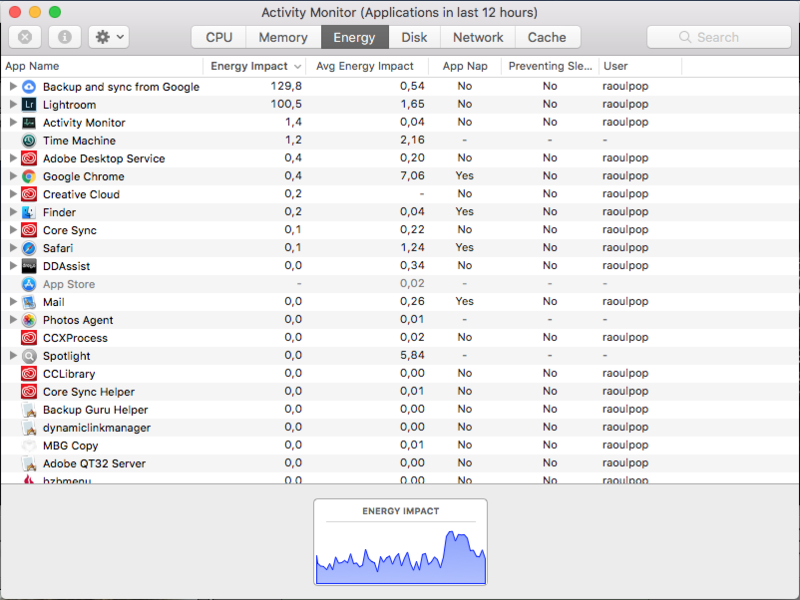 The page would only pull something like 50 files to display, and if you wanted to see more, you had to scroll down and wait for it to pull up more… and then the browser would almost freeze and give you a warning to let you know the page was eating up too many resources… ugh… what a nasty thing to do to your customers, Google! I looked this thing up, and some people had more luck emptying the trash by using the mobile app (for iOS or Android). I tried it on my iPhone and it hung, then crashed. I tried it on my iPad and it would hang, the little Googley kaleidoscope wheel going on and on for hours, and then it would either crash or keep on twirling. I left my iPad with the app open all night after issuing the Empty Trash command and when I came back to it in the morning, it was still twirling away and the files hadn’t been deleted. So now it’s back to the browser interface for me until I clean up all the files. See the screenshot below with the twirly blue thing in the middle? That’s me waiting on Google to list those files in the Trash… By the way, I bought a 2 TB storage plan on Apple’s iCloud to back up my phones, tablets and computers, and I can share that plan with my family. It costs the same as Google’s 1 TB plan: $10/month. Will I keep using the Backup and Sync app? Yes, at least for now. The promise of unlimited storage of all my compressed images is a tempting thing. I realize there’s a loss in resolution and quality but God forbid something happen to my files and my backups, at least I have them stored somewhere else and I can recover them; they might not be their former selves, but I’ll have something. Just FYI, I back up locally and remotely. For local backups I use Mac Backup Guru and for the remote backups I use Backblaze, which I love and recommend. Their app is amazing: blazing fast, low energy footprint, works quietly in the background and has backed up terabytes of data in a matter of 1-2 weeks for me. 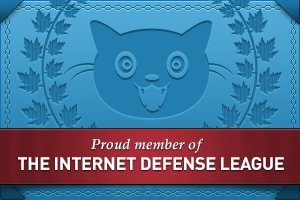 And as for my hardware, I still use Drobos and I love and recommend them as well. I’ve been using them since 2007 and while I’ve had some issues, I still think they’re the best and most economical expandable redundant storage on the market. I use a Drobo 5D next to my iMac and two Drobo 5N units on the network. Dammit I wish I’d found this post before spending the last 7 days looking into various issues with Google Backup and Sync. First, it was eating up all my bandwidth, thus preventing me from even browsing the web. The network settings are buried in many levels to get to where you can set upload/download limits, which seem to do little to nothing. The most frustrating thing is after nearly a week of slow internet and hunting down the culprit of my quota being exceeded, I had to remove all of my Nikon (.NEF) and Olympus (.ORF) raw files and upload them again. Once I started removing file extensions from the exclusion list, I found out it was Olympus ORF files. My camera is 2 years old, how are the files not recognized by Google as raw files already? And yes, removing those raw files from my Drive and emptying the trash are worse than pulling teeth. Perfect review! I have had basically the same experience. To top it off, I was an early Picasa user so I have identical photos stored with two different resolutions. Very frustrating.